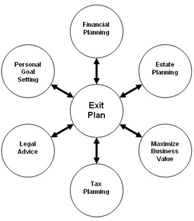 Why is Exit Planning Important for Business Owners? An exit plan is a comprehensive road map that helps business owners successfully and profitably exit a privately held business. 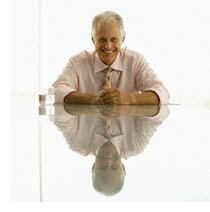 An exit plan asks and answers all of the critical questions that a business owner and his or her advisors must consider. Importantly, 75% of former business owners report they regretted selling their business because it did not accomplish their personal or business objectives. Why? Owners admit themselves that they did not understand all of their options, were not able to make informed decisions, and did not know who to turn to for answers. A well-developed exit plan shows a business owner how to maximize the value of the business, minimize taxes, and ensure that he/she is able to accomplish all personal and financial objectives in the process. A comprehensive and integrated exit plan empowers business owners with crucial information needed to make informed decisions, tools to maximize closing after-tax proceeds, and ensures successful fulfillment of all personal and business goals.